Businesses for Sale: Who’s Buying and Who's Selling? 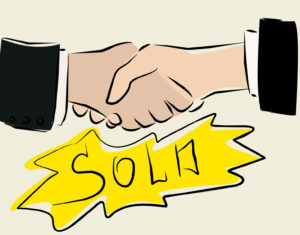 Businesses for Sale: Who’s Buying and Who’s Selling? The U.S. market of businesses for sale is on a hot streak. Small businesses are selling for record-breaking prices, according to BizBuySell, a marketplace for small business buyers and sellers. Business owners are entering the market and listing their businesses for sale to capitalize on rising prices, BizBuySell reports. Meanwhile, business buyers are willing to spend more because the cash flow of the average business for sale is on the rise. Current small business owners (including those planning to sell their businesses) are predominantly male (77%). Most are between 40 and 59 years old, and have either some college, a college degree, or a postgraduate degree. The demographics of those planning to buy businesses are very similar to current business owners in terms of gender and education level. However, one difference is small business buyers tend to be younger. Almost one-fourth (23%) are 39 or under, compared to just 14% of current business owners. Some 65% of current business owners and 70% of those looking to buy businesses are natural born citizens, but immigrants play a significant role in entrepreneurship, too. Thirty percent of current business owners and 26% of would-be business owners are naturalized citizens or permanent residents. Among that group, 48% of current business owners and 64% of those planning to buy businesses are first-generation immigrants to the United States. Small business owners are also becoming more ethnically diverse, largely due to an increase in the number of Asian/Pacific Islanders seeking to own businesses. Although carrying on a family tradition of entrepreneurship is becoming less prevalent, it is still common among both entrepreneurs and those seeking to buy a business. 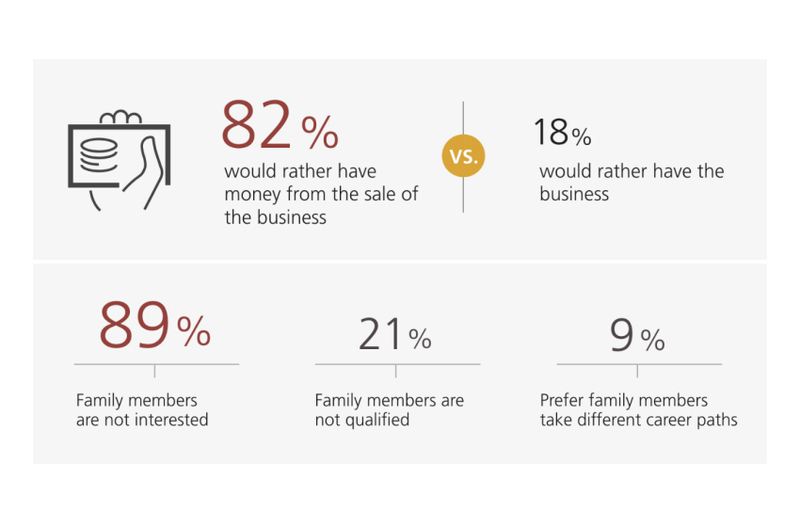 More than half (55%) of current business owners and 51% of would-be business owners say either their parents, grandparents, or both owned a business. That doesn’t mean that business owners in the survey are running family businesses. Nearly two-thirds (64%) started their businesses from scratch, while 21% purchased an established business, and 7% purchased a franchise. Only 4% run a business that was passed down from a relative. In addition, 54% of current business owners had previously owned a business before this one. Current business owners have higher household incomes than those hoping to buy businesses. Sixty percent of business owners have incomes of $100,000 or above, compared to 46% of potential business buyers. The majority of current business owners in the survey have owned their companies for 10 years or more. Seventeen percent have been in business 6 to 10 years; 21% for 3 to 5 years; and 14% for 1 to 2 years. No wonder that almost one-third (32%) of current business owners plan to sell their companies within the next two years. A whopping 84% of business buyers plan to start the process of buying a business within the next 12 months or are already actively looking for a business to purchase. What’s the most challenging part of buying a business? Surprisingly, coming up with a down payment and getting approved for financing did not make the top of the list. Instead, business buyers say the biggest issue is finding the right business (58%); 40% of existing business owners say the same. Those seeking to buy businesses can learn from current small business owners when it comes to the prices of businesses for sale, however. Just 2% of potential business buyers expect negotiating the price with the previous owner to be a challenge, but 12% of existing business owners say it is. In addition, only 13% of business buyers think understanding fair business valuation will be a challenge, but 23% of current business owners say it is. The lesson? Whether you’re buying or selling, do your homework when it comes to valuing the business involved, and be ready to negotiate to get the best deal.